Let’s travel back into time a few years and enter a Call Center just about anywhere on the planet. What would you expect looking at and listening to, end to end in the center? Needless to perform any guesswork, you would be faced upfront with the conventional hustle and bustle all over the place, an amalgamation of all sorts of auditory waves causing an insensible sound output best described as being noise. What all agents seem to be running after is the process of generating leads via cold calling, a concept devised by some “Mr. X” for the purpose of revenue generation that is now deemed as outdated as abacus is today against the modern electronic calculator. How Crucial is an Unusual Method of Sales Leads Generation? With online competition turning fiercer by the passing day, sales people take to adopting unconventional means to overcome the modern day challenges of turning up their product(s) and/or service(s) before their clients the best possible way to make their day. So, in order to take the bull by the horns cold calling in most businesses is discouraged to a minimal level, with actual emphasis on producing sales leads off social media platforms without sounding too pressing or compulsive. 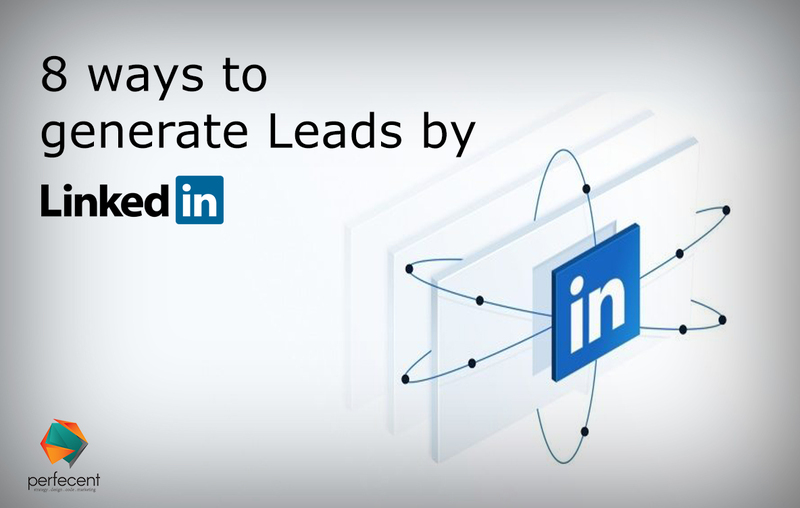 Here we discuss how marketing can be put to effective use via leads generation on LinkedIn. Watch out for Your Profile Viewers: Once your profile has been uploaded over LinkedIn & open for public viewership, each and every view counts as a potential lead directed at bringing in benefit or, at least, encouragement. On a professional level, the links that you get adhered to give rise to multiple levels of interlinking spreading out with the likes of a funnel in all, but relevant directions. It should be appreciated that such interlinking goes a long way in establishing purposefully crucial relationships at corporate level. All in all, LinkedIn is your key to opening all possible doors & corridors that would let your business surge to the next level. List down Your Potential Clients: Considering the fact that LinkedIn feature alone is home to hundreds of millions of social media users worldwide, getting hands on a few hundred can’t be termed as a remote possibility. You’ll wonder how working for a few minutes daily would produce wonders for your online venture; in due course, you would find yourself striking deals with buyers sharing identical profiles. Show Yourself Moving & Talking: Now, we’ll call this the crux of this entire discussion. Roll your business before a video recording device & go “Lights — Camera — Action”. A 30-second video clip (which is the actual upper limit for a LinkedIn clip) should suffice, hurling you in the limelight. It would prove to be a job well done as this clip would serve as your introduction tool whenever your profile or connection request gets upfront the “strangers”. Let Others Stay Updated with Frequent Posts: You certainly won’t mind sparing a few minutes for posting an update to your Social circle. Searching video/audio clips or articles relevant to your industry and posting their links should be a routine task to turn your clients’ population dense. Also, it is to be borne in mind that LinkedIn, by any means, is not a selling point for your business. It merely acts as a marketplace where you are able to impart professional touch to your online business & add value to your offers.